Now that I'm feeling more settled since moving, I decided it is long past time for a little sewing (because doing alterations on a pair of swimming trunks doesn't count...even though it's the first thing I stitched since unpacking my machine ;o). 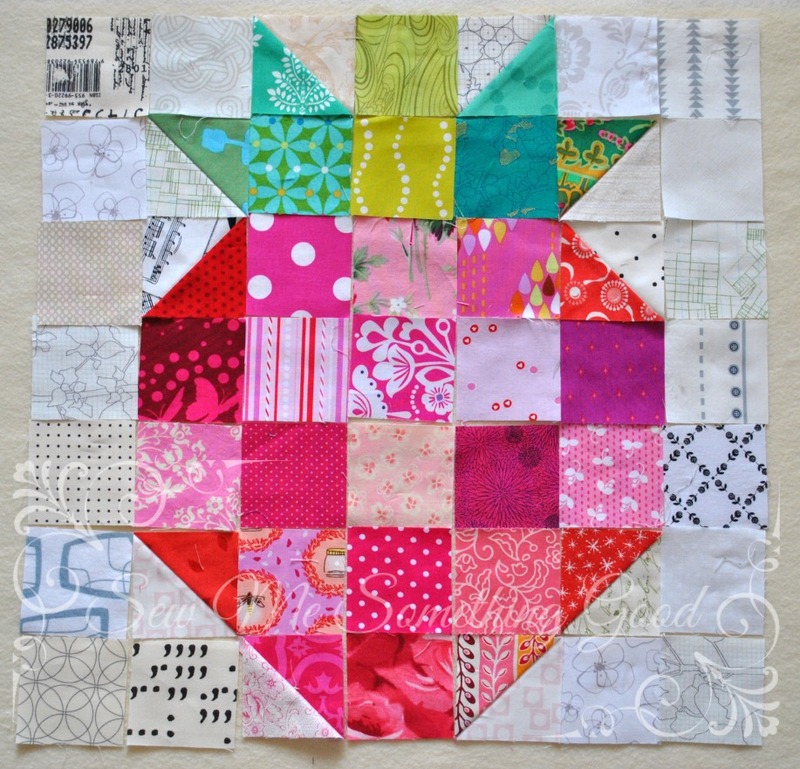 If you're interested in making some strawberry blocks, Bec has a lovely tutorial for you to follow to make them. 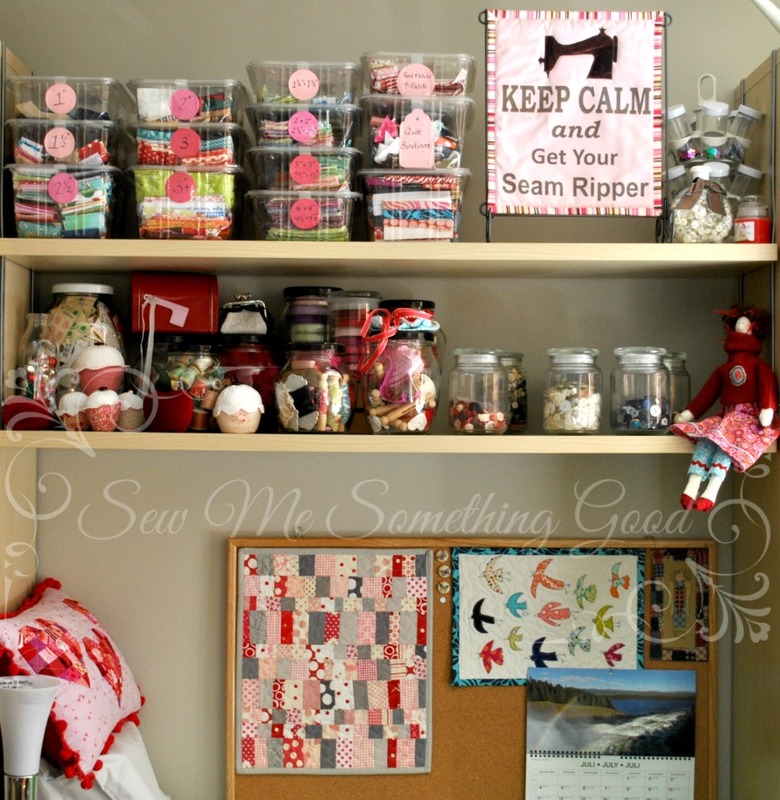 Part of the fun in setting up my new sewing room is rediscovering everything all over again. A simple sketch of a strawberry quilt block begs to be my first make. Meaning: out came the scrap bins for some fabric auditioning. These blocks are sweet and simple to make and I have seen lots of versions floating around the internet for the past couple of years. Mine are completely scrappy, but I found that they are the same design as the ones Bec shares on her blog (click here for her tutorial). Hope that helps any of you interested in making your own versions! Happy to finally share a look at the room I get to call my "studio" in the house we've moved to. Not only is it exciting to have a lovely new space to work in, I'm finally starting to feel a bit more settled after all the upheaval that is a part of moving. We love the new place we're renting!